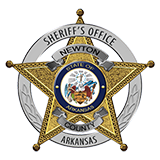 Newton County Sheriff Keith Slape said that a Pittsburgh, Kansas man died from a fall Monday 19, at Whitaker Point also known as Hawksbill Craig. Dylan Meier was hiking with his family and slipped from the edge. Slape said when responding agencies from Newton County Search and Rescue, U.S. Forest Service and Buffalo National Park Service, found him to be without a pulse and unresponsive.